Ah, the holidays. 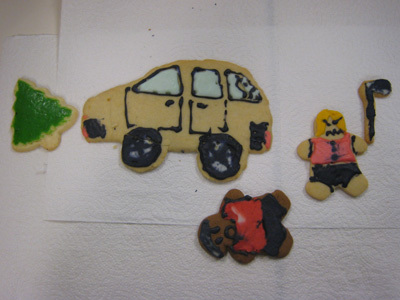 Time for joy, time for cheer, and time for our annual holiday cookie decorating. 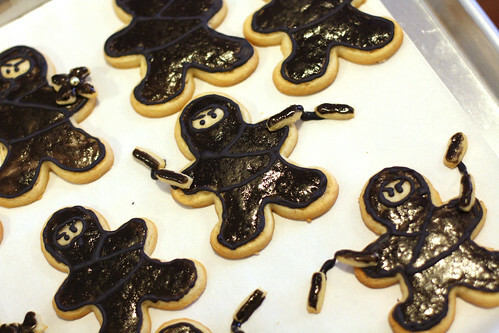 As usual, our holiday cookies were of a secular nature, including ninjas (now pictured!) 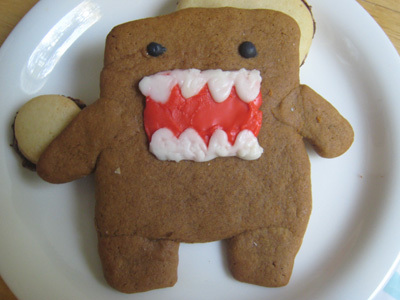 and monsters (see below). In lieu of a nativity scene, we opted for something more timely and "news-y" (see below). Apologies in advance for the smushy frosting. YJ has a non-smushed photo, but I couldn't wait to post these! Enjoy! Sweet Ninjas with Nunchucks! Photo by KK. 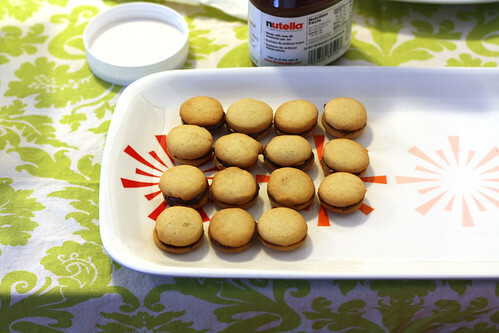 Not Hamburgers (they're nutella sandwich cookies). Photo by KK. 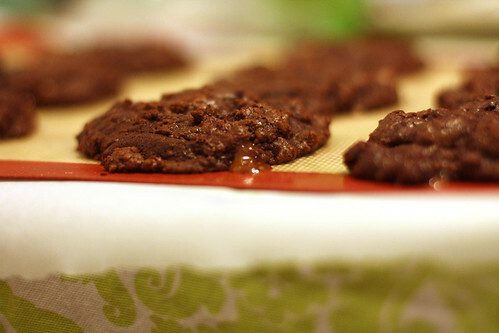 My Choco-Toffee Specialty. Photo by KK.